As-sa-lam-u `a-lay-kum! 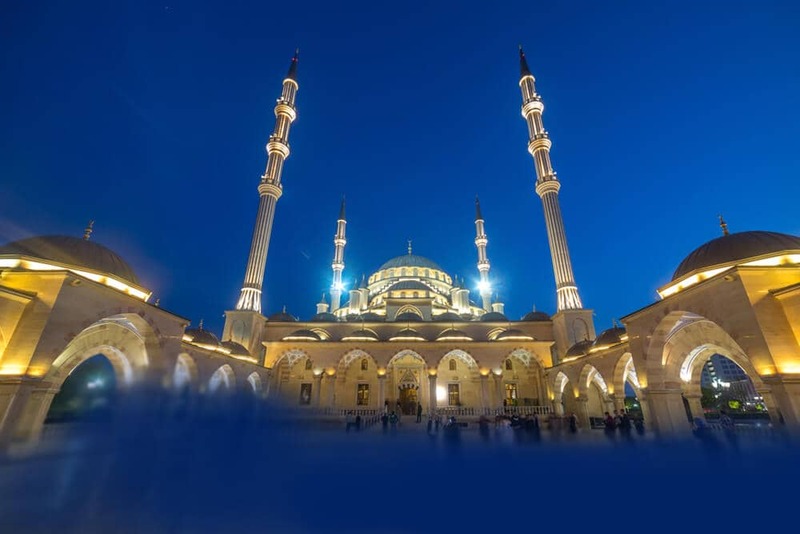 Learn Chechen Online with our Experienced Native Teachers through Skype to increase your opportunities for career, travel, business and friendship. Chechen is the language of the Chechen people. The language is part of the Northeast Caucasian language family and is closely related to the Ingush language that belongs to the same family. Caucasian language group to which Chechen belongs is distinctive because of its wide geographical distribution as well as the specificity of its grammar. Chechen is spoken primarily in Chechnya. Also it is spoken in Russia, Western Europe and in some parts of the Middle East. After Islam was established Chechen initially used Arabic script. Then from 1925 to 1938 Latin alphabet was used. From 1938 onwards Cyrillic was used and this was replaced by Latin alphabet in 1992. Today however Cyrillic alphabet remains the most widely used form of Chechen writing. Chechen has a number of mutually intelligible dialects and the differences between dialects are mostly phonological. Are you looking forward to impress your beau or boss with your Chechen speaking skills? Do you want to learn Chechen to teach your children? Then here is a place to learn Chechen Online with our Experienced Native Tutors through Skype anytime anywhere! Learning Chechen will help you gain a better understanding of the Chechen culture and heritage. But as it is with any language, learning Chechen requires a lot of dedication. It is not an easy language to learn. And books and dictionaries are difficult to find in the bookstores. It is best if you can find a language tutor. But a qualified teacher of the Chechen language cannot be easily found. The best place to learn Chechen is through online language classes via Skype. So if you are interested in learning Chechen join our online Chechen language classes through Skype where you can learn from the comfort your home from a qualified native tutor. Through our one-to-one language instructions you can gain proficiency in the language in short span of time. All our tutors are highly qualified tutors who can offer you customised lessons s per your learning pace and objectives. Our prices too are very affordable since we provide all our Chechen language learning services through the internet. So we don’t have to pay for any overheads and we make sure to pass on the savings to our valued customers. There is complete flexibility in scheduling lessons. So join our platform today and explore a whole new culture with your knowledge of Chechen. You can now take Chechen classes one-to-one using Skype with a tutor of your choice. Our Chechen lessons are custom, effective, comfortable, and fun. Pick a tutor NOW! Choose anything specific. Whether it is conversational Chechen classes, business Chechen lessons or just learning how to greet and impress a loved one. We can help you with them all.